From Taiwan – Inspiring India with the best ! 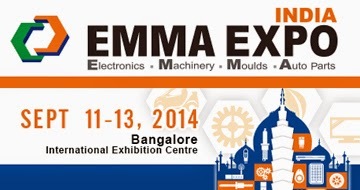 Emma Expo India is a 3 day event being held from 11th September to the 13th September 2014 at the Bangalore International Exhibition Centre (BIEC) in Bangalore, India. This event showcases products like Machine Parts & Accessories, Automobiles Parts , Tools, Cutting Tools, Molds and Other Related Equipment , Pneumatic Tires & Tubes, Electric Wire and Cable, Industrial Plants And Machinery, Wood Working Machinery, Electrical Equipment, Battery, Cell, Charger, and Module, Computer & Peripherals Products, Engine Parts, Motorcycles, Drive Information System, Sundries, Adhesives, Manual Hand Tools, Industrial Computer and Peripheral Products, Car Accessories , Instrument and Apparatus for Demonstration and more etc. in the Automotive, Electronics & Electrical Goods, Plant, Machinery & Equipment industries. To Explore Business opportunities with Taiwan Companies on OEM ODM basis or per your requirements please come to visit our Taiwan Suppliers coming to Kolkata for a Single Day Business Meet. 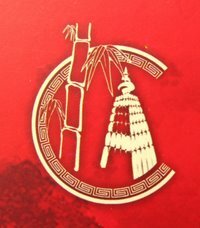 In 2013 TAITRA organized a Taiwan Delegation of 30 Companies to meet around 250 Local Companies with a whooping fruitful conduct of 600 Meetings at The Oberoi Grand Hotel – Kolkata. Following the Success of last year’s Taiwan Delegation visiting India we do hope that this year we will have more people coming to attend this exclusive meetings! This year Kolkata Taj Bengal, 2014, 15th September a Taiwan Delegation of 9 Exclusive Companies will be open to all Business Opportunities & Prospective Procurement for a single day one-to-one business meet! We hope you will be interested to meet them. We have allotted 20 minutes for each meeting. If interested in others also, Please let me know which are the companies you are interested to meet and what is your *preferred time*? Please Confirm. I will insert it in our Meet chart accordingly. Taipei World Trade Center, Kolkata Office.